I recently spoke at the Lunar and Planetary Science Conference in Houston about the 2015 NASA budget and how it impacts planetary science. It's a nice primer about the process and what you can do about it, so it seemed like a good thing to put out there. You can download the full presentation here [PDF on 6.8MB]. In the event that Opportunity gets cutoff because of funding, would she just go into hibernation until funding is established again or would this be permanent? It would be such a sad way to end a wildly successful and still productive science asset that has been an inspiration to the public. If it is the latter, why not hand the project off to college students and the public to fund and operate it. Surely there are amateur radio operators out there that have the ability and equipment to transmit and receive data. There is no better way to engage the public than something like that. Talk about a whole new mission to continue it's legacy. It's the people's rover! James: It's theoretically possible, but unlikely. In order to keep it healthy, Opportunity would still have to rely on (and pay for) MRO and DSN time, at least some of the engineering team to monitor rover health. And I'm not 100% sure, but there's probably a whole host of security issues with turning over rover ops to the public, or to some non-NASA group. 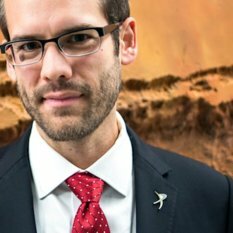 Hopefully, we don't have to worry about the problem and we can get enough political support in Congress (https://secure3.convio.net/planet/site/Advocacy?cmd=display&page=UserAction&id=173) to keep Oppy going.